Cupcake Cuties celebrated St Patricks day in style this year , while making st patrick cupcakes . Lucky 4 leaf shamrocks on every special cupcakes. Hope you all enjoyed your celebrations. But hope you didnt drink too much guiness and start seeing dancing leprechauns. However if you did happen to find any pots of gold at the end of the rainbows , i'll be happy to hear where?!! Cupcake Cutie can provide cupcakes tailor made specifically for your party. these mini cupcakes are adorable and easy to eat. They coat just £1 each and look and taste fantastic. Decorations and colours can be adapted as can the quantity. There are special set prices for cupcake boxes and gift boxes. 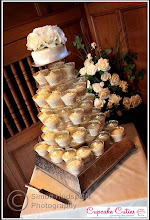 Cupcakes are wonderfully chic and creative , celebrate your events with these tasty and beautiful tiered displays. 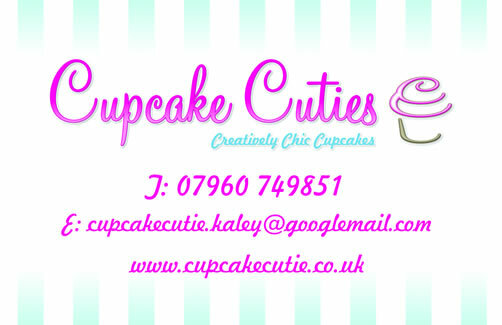 Cupcake Cutie deliver to parties across the country and you will be surprised just how affordable yet stunning they are. Cupcakes can be themed to suit your party. Wedding Cupcakes look perfect when they are subtle, pretty and elegant. Contact us now for details and discuss your requirements.